Acting as an executor, I am starting to sell a record collection lovingly built up over 40 years. Please keep an eye out for further listings. Asia/ Australasia: Sent Royal Mail - item sent tracked and/or signed for (dependent on country) but not insured for £21.85. This is the default postage cost. For Europe: Sent via Royal Mail - item sent tracked and signed for but not insured. Postage is £12.70. I can do a new invoice for this lower postage. For buying a second record it will be an extra £8 for Asia/Australasia postage. 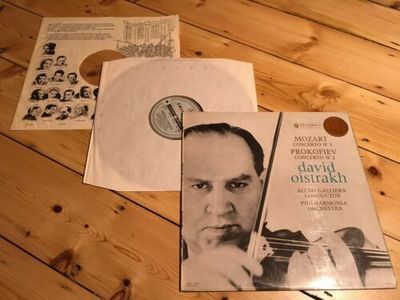 An extra £2.35 for buying a second record for European postage. No extra postage cost for buying a second record within the U.K. If you require insurance please contact me after the auction so that I can arrange and confirm cost. All records are packaged well using high quality cardboard LP packing cases with internal mailers and bubble wrap for protection. Record and inner sleeve are removed from the cover for posting. If you have any preference please let me know after purchase.